May 5, 2014 by Ecommerce News. About Online store, Startups with tags Germany. 5120 views. 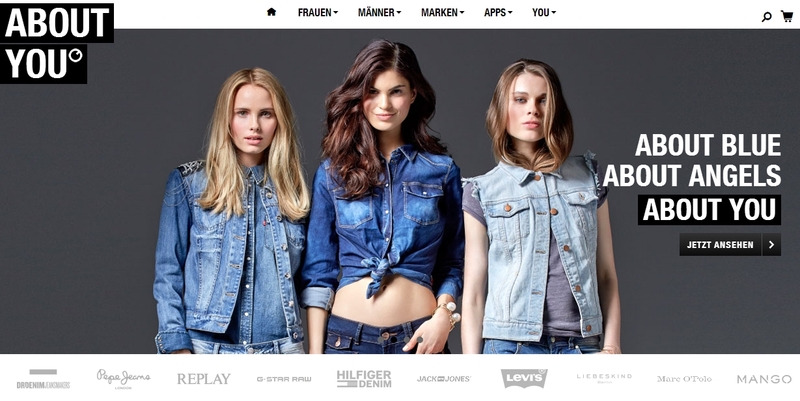 Collins is presented as the first open business model on the German ecommerce market. Based on a new infrastructure and in cooperation with designers, developers, brand suppliers and merchants, new shops will arise with integrated fashion applications for the digital generation. The first two brands are About You and Edited. On aboutyou.de customers are able to, for example, use an integrated app where they can be informed about the appropriate dress code in trendy clubs in the city, including pictures of different fashion styles. Another app displays the latest photos of Hollywood stars and provides suggestions for evening outfits. Also integrated via apps are tools where customers can design their own shoes. Aboutyou.de offers 50,000 clothes, shoes and accessories. The target group consists of women between 20 and 40, but the site also offers items for men. The project got attention in the German media, not only because of the big amount of money the Otto Group throws at Collins, but also because Benjamin Otto, the 38-year old son of Otto-chairman Michael Otto. Benjamin has not worked for the family group before and currently doesn’t specify whether he one day will take over the management of the company. Under the umbrella of the Otto Group, about a hundred online stores together record sales of more than six billion euros. This accounts for 61% of the Otto Group’s turnover.